Writers, mark your calendars — our next submissions period will run from January 1 to January 31, 2019. During the month of January, we will be accepting submissions of book-length fiction and nonfiction on the themes of the environment, animal protection, ecology, and wildlife — as always, we’re looking for exceptional, well-written, engaging stories. In the new year, we are asking that writers who submit book-length manuscripts also support the press (and learn more about us!) by purchasing a book at the time they submit. All books will be $20. For U.S.-based writers, this includes free shipping and your manuscript submission; international writers will receive e-books with their manuscript submissions. As many of you already know, our submission times and policies have evolved over the years. 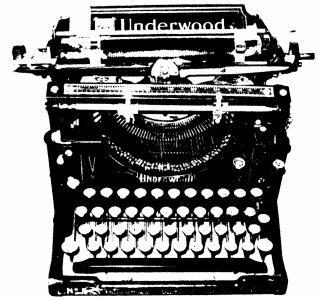 When we founded Ashland Creek Press in 2011, we had the luxury of keeping submissions open all year as writers began to discover us. In 2014, we started the Siskiyou Prize for New Environmental Literature and began offering two submissions periods for book-length manuscripts — one for prize entries, and one for regular submissions. We also have several open submissions periods for shorter works, which have filled our anthologies Among Animals, Among Animals 2, and Writing for Animals. As the years have passed, we’ve found ourselves overwhelmed (in a good way!) with increasingly higher numbers of submissions during each reading period, far more than we can ever publish — and sometimes far more than we can manage to read in a timely manner. Now, as we enter our eighth year of publishing, we have decided to shorten our regular book submission period as well as ask writers to purchase a book — and we do this for several reasons. For one, we hope that a shorter submission period will allow us to read and respond to writers more quickly (as writers ourselves, we understand that the time spent waiting to hear about a submission can feel interminable!). And also as writers, we understand the importance not only of supporting other small presses but of submitting in a knowledgable way, i.e., learning as much about a publisher and its work as possible before making the decision to enter into what will become a very close and longtime relationship as author and publisher. For us, Ashland Creek Press has always been a labor of love — and we mean this quite literally! No matter how successful the press has been in any given year, we have never paid ourselves a dime. All money received by Ashland Creek Press goes to author royalties; toward judges’ fees or writers’ prize money; into promotion and events to support our authors, whether for newly launched books or backlist titles; and to the Ashland Creek Press Foundation, which supports animal and environmental organizations that share our mission of making the planet a better place for the future. We very much look forward to reading your new environmental writing in January, and we thank you in advance for your support. We couldn’t do this without you as writers, readers, and advocates for animals and the planet. You’ll find our more information on our submissions page; please note that Submittable will not be open until January 1, 2019. Many thanks, and we wish you a very happy new year! Whose book is sold as part of the $20.00 entry fee? Rafael, we will have a selection of 20 books to choose from, a range of fiction, nonfiction, and anthologies. The titles will be listed on Submittable when we open for submissions on January 1, 2019. Thanks for your interest in the press!